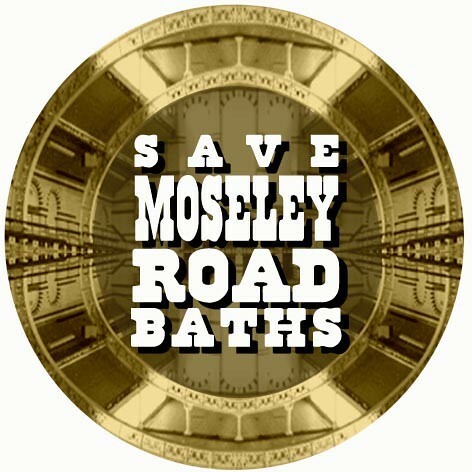 The Friends group is an active part of the newly formed Moseley Road Baths C.I.O. which will operate Moseley Road Baths from April 2018. 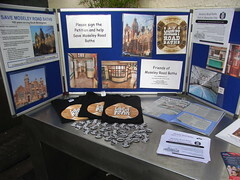 The Friends group will also continue to exist, focusing as we always have on involving the public, by holding events and activities such as Open Days, Heritage tours of the Baths and Arts events. We will work closely with the C.I.O. – we have many members in common. Attend our regular campaign meetings and get involved! Our monthly meetings are open to everyone. We try and keep the list up to date on our events page, but get in touch if you want to know when the next one is. We welcome new people and new ideas. If there is something you’re wanting to get stuck into (people able to maintain our websites and help with newsletters welcome! ), then please do shout up. We run stalls from time to time at local Farmers Markets and other community events, so if you want to help with these then that would be marvelous. Would you like to show your support in your front window? Could you put a few leaflets round your child’s school? A poster on the work noticeboard? A flyer in a local Community Centre? Here are some downloads that you may find useful. If you can’t download and print resources, or if you need multiple copies then contact us directly and we can get a campaign pack to you. The need for investment in Balsall Heath – and the impact an empty property would have on the area. If you need any support then let us know and we can help!